Could Africa save China’s tigers? After then, production tails off. The Guardian slideshows page hasn’t been updated since 2013 (although you can find some elsewhere on the site from 2014). The latest audio slideshow I can find on the Telegraph – this D-Day anniversary audio slideshow – dates from 2014. And I can only find one audio slideshow on the BBC website this year: this piece on Drakelow Tunnels published by BBC Hereford and Worcester in August (although this is due in part to the absence of a key producer). Soundslides, the go-to software for so many years when it came to audio slideshow creation, seems to have lost its puff too: although it re-launched a HTML5 version it hasn’t updated its blog in almost a year. Firstly, Flash. Google Chrome was never particularly supportive of the technology, which was used to create many audio slideshows. Safari stopped supporting Flash in June this year; a month later Firefox stopped supporting it too. That’s partly why so much old content no longer works. As for why there are fewer new slideshows? Perhaps the answer lies in the only piece on The Guardian’s ‘In Pictures’ section to mention audio: an “audio-photo essay” by photographer Martine Perret: instead of reaching for an audio slideshow, the publishers have chosen to separate images and audio on the page. Users can choose to play clips while they look at the images, or they can explore it in another way. This format of mixing large images with in-text audio players and clean text will be familiar: it’s sometimes called immersive journalism; but is also known as snowfalling. It may be coincidence that the New York Times published Snow Fall in 2012, the point at which audio slideshow production appears to have begun to slow. 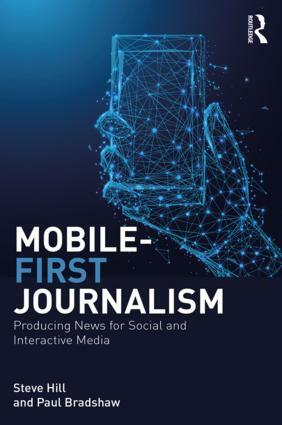 Perhaps journalists interested in engaging users in an ‘immersive’ narrative began to reach for the new format at the expense of slideshows. Perhaps the metrics for a long page of text broken up by multiple images, audio and video were better. Perhaps, as bandwidth improved, video became a more practical option. Perhaps it’s a combination of these things. But the format isn’t dead. Perhaps it is just the phrase ‘audio slideshow’ that has passed into disuse: after all, an audio slideshow is, technically, just a video. As bandwidth and recording technology has improved, slideshows have become much more varied, mixing still images with video, for example. We now know that captions work much better than narration, but also that pure audio formats work better when complemented with visuals: WNYC has been adding images and video as ‘audiograms’, while TapeWrite makes it easy to add a series of images to your audio stories. And tools like Flipagram have opened up slideshow creation to users (as ‘photo-video stories’). Indeed, one of the few audio slideshows I can find for this year is an ITV piece which uses a slideshow including Flipagram elements. Perhaps the biggest influence in this area is Snapchat Stories. Snapchat stories allow you to combine still and moving images to create a story. Essentially: a slideshow. And it has inspired other platforms to launch their own slideshow tools: this year Instagram Stories and Twitter Moments brought the same functionality to their users too. So perhaps the audio slideshow is about to find a new lease of life: as visual storytelling tools become more aural, and audio tools become more visual, we may end up right back where we started. I still teach them to multimedia journalism students and I think the exercise is still worthwhile as it helps them to think about a different way to tell a story. Every year the assignment throws up something unexpected. That said, students are making them as videos so playing around with these tools might be a good idea. I am so glad you posted this. I keep trawling online sites for audio slideshows, like a bereaved bride who can’t let her dead lover go. OK, maybe that’s a little dramatic. But honestly, while I understand that the audio slideshow emerged because video could not, I find audio slideshows to have their own particular emotionality. They’re evocative and understated, especially when the story uses the voice of the sources without a narrator. Think the “Final Salute,” which I sorely miss and used to direct students to (along with the narrator-driven “After the Riots,” another loss). 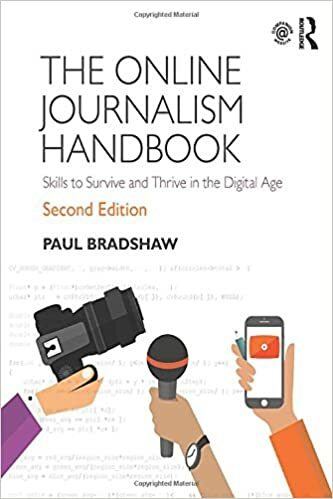 And I still teach it too, because I can use it as a device to train students in audio editing, nat sound collection, photo vantage points, AP-style cutline writing and storytelling (a la Ira Glass). It is very true that the students, with or without my direction, are using video editing software to compile the slideshow. With this post, I feel like I can finally move onto the acceptance stage of loss.